The name of this fishing boat tells of the last course it was planning to go on, the African coast. With the rupture with Morocco, after losing the possibility of continuing to fish in Saharan waters, many boats were sunk in Lanzarote. This is one of them, but it did not reach the great depth it was intended to. A problem with its demolition made it necessary for them to bring it closer to the coast thus bringing it within the diver’s reach. 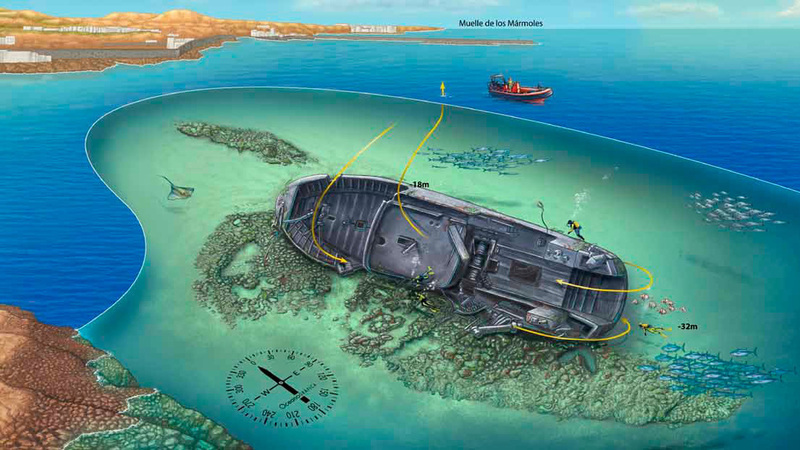 This is an old seiner about 35 m long that today rests, in excellent condition, at the foot of the reef, laid out and showing its great propeller at a depth of about 32 m.
This dive is very simple, if there are no strong currents. 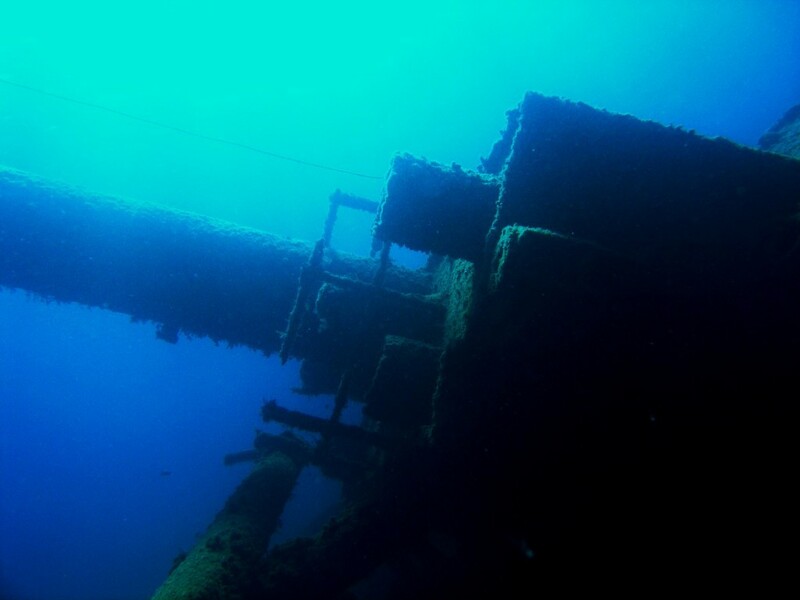 After descending down the anchor line, continue down to the propeller which is the deepest part of the dive. On its side, a small cavity was created where large white bream, who do not think twice about coming out while divers are there, take shelter. Continue on towards the stern and go up its great ramp, where in years past, the nets were fastened and where today it takes us directly to the hold. From here, explore the deck of the ship and finish by ascending on the starboard side at a shallower depth. On the outside of the cliff, part of the name of the ship can still be seen. It is easy to see deep sea species on this dive, so pay attention to the deep blue so that you do not lose out on this opportunity.